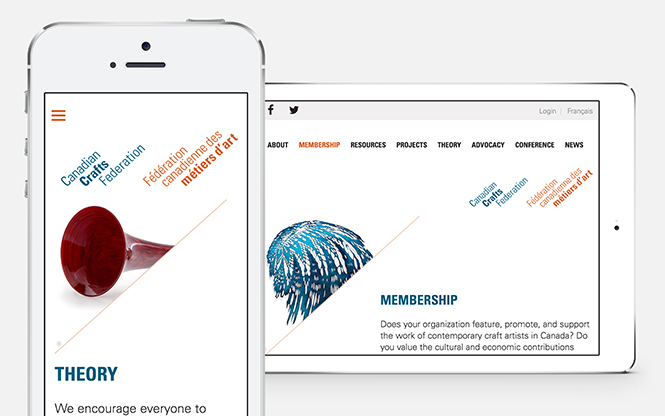 The Canadian Crafts Federation is a national arts service organization that represents provincial and territorial craft councils and the Canadian craft sector. It’s role is to advance and promote the vitality and excellence of Canadian craft nationally and internationally to the benefit of Canadian craftspeople and community at large. 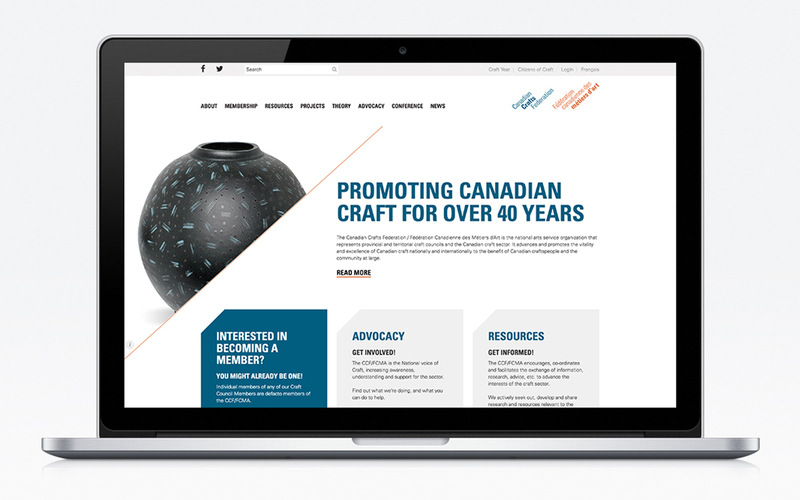 SOS was approached by the Canadian Crafts Federation to help redesign their existing website with two main goals in mind. 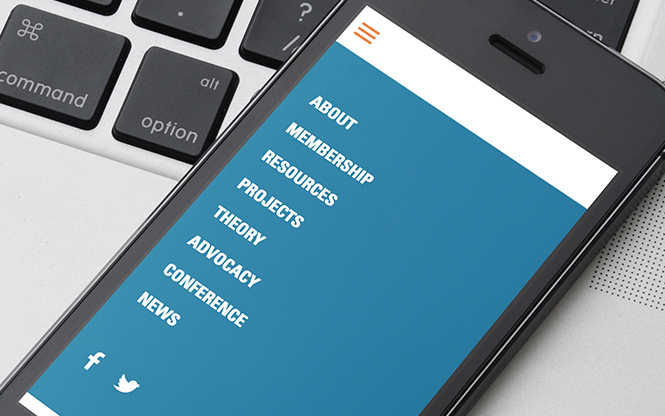 First, the site needed a visual update, including a responsive design. 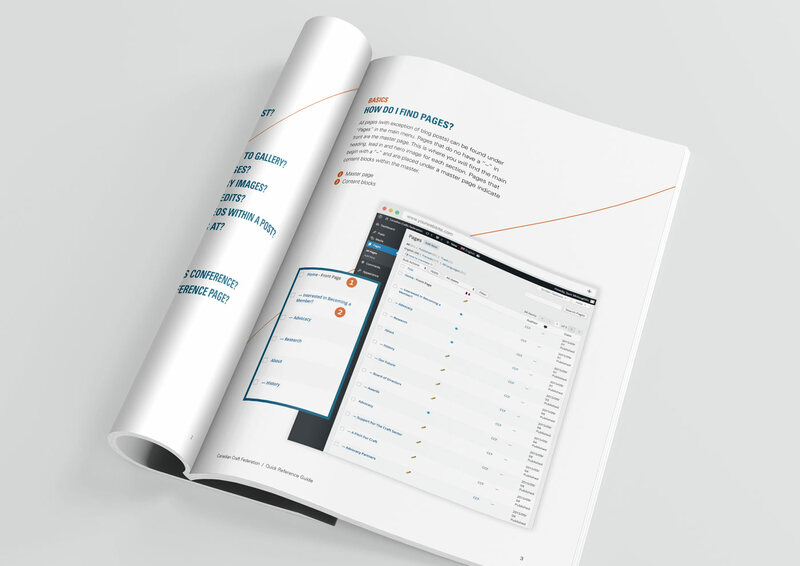 Second, a new content management system was required to help simplify and offer greater utility for content updates. 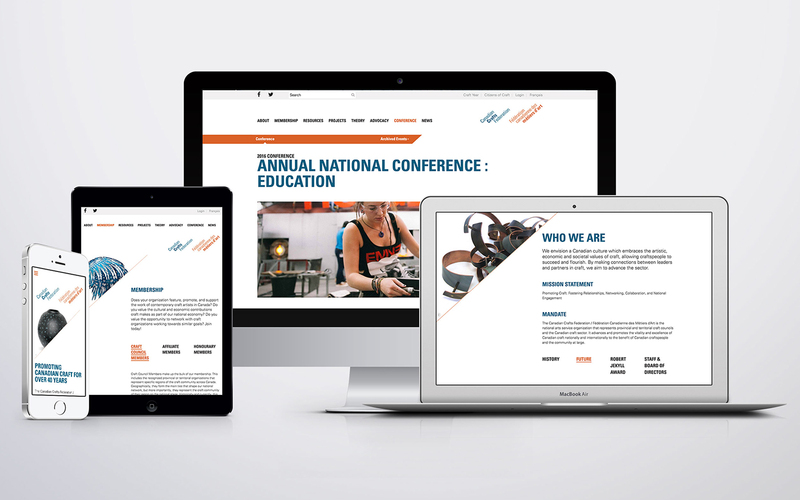 With a restrictive budget, SOS needed to be strategic about where effort should be focused on the site. 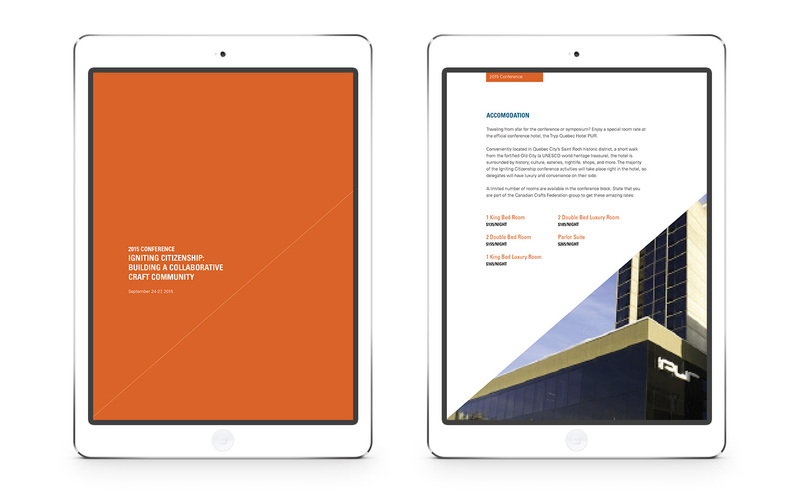 After a thorough analysis of the existing site, SOS was able to propose a new information architecture that not only improved the clarity of CCF’s mission and objectives to the site visitor, but also allowed us to streamline the amount of unique programming required and thus optimize the budget.